Mormon Wookiee: #110: Zach Sobiech's Amazing Last Days (Video). #110: Zach Sobiech's Amazing Last Days (Video). I have never met Zach Sobiech, and in fact, I had not heard of him before seeing the following video posted by one of my friends on Facebook today. But after watching the video, Zach is now one of my heroes. Zach passed away yesterday, Monday, May 20, 2013, from osteosarcoma cancer, but not before leaving behind one absolutely amazing legacy. Watch the beautiful video below to celebrate Zach's life. UPDATE: I have been getting a fair amount of blog views from people searching for "Is Zach Sobiech a Mormon?". Zach's family are wonderful, faithful Catholics. Thanks! You can also see Zach's music video of his hit single "Clouds" at this link, as well as a star-studded version of his song, as lip-synced by many celebrities, Zach's family, and friends. You can buy Zach's song on iTunes. 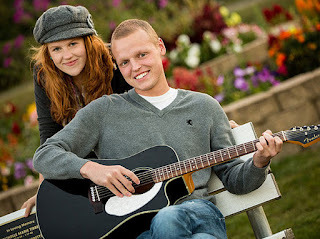 You can also make a donation in Zach's memory to the "Zach Sobiech Osteosarcoma Fund" to help other kids fight cancer. #109: Great Talk on Missions & Mother's Day.